Storrs Gate House015394 43272work015394 43269fax Guest HouseBed and Breakfast of the Year, Cumbria Tourism Awards 2009. Storrs Gate House has a five star grading with Visit Britain. Storrs Gate House sometimes limits bookings to 2 or more days. 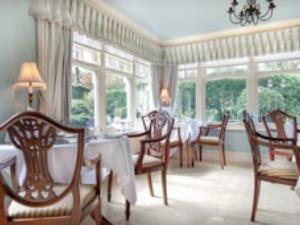 Jacobean suite sometimes limits bookings to 2 or more days. Room 4 - King-size feature timber bed. En suite power shower. Satellite TV/DVD player. Luxury toiletries by The White Company. First floor. King-size sometimes limits bookings to 2 or more days. Bed and Breakfast of the Year, Cumbria Tourism Awards 2009. Storrs Gate House has a five star grading with Visit Britain.